In 2003 Rod Ellingworth, coach at British Cycling had a problem. Quite a few problems in fact. Firstly, he had to persuade the powers that be at British Cycling to invest money in a new junior academy. Secondly, he had to find some young riders for the academy. Thirdly he had to turn those young riders into successful, race winning cyclists. In sport, just like in business, the money soon stops if results don’t come. Up until then British cycling had used science to identify promising riders. Hook a rider up to a turbo trainer and let them loose to find out what numbers they can produce. How many watts they can push out, what their VO2 max is, what their lactate threshold is. After all, cyclists are primarily engines, aren’t they? A number of genetically gifted riders had already been identified, such as Ed Clancy who would go on to win multiple Olympic gold medals as part of the Team GB track pursuit team. One rider who certainly wasn’t at the top of the numbers list was a stocky, slightly overweight (at least for a cyclist) lad from the Isle of Man, called Mark Cavendish. If you’re a cycling fan, you might just have heard of him. Cavendish’s numbers weren’t great but Ellingworth saw something else in him. Determination, desire, race craft, confidence, dedication, a will to win. The sorts of things that you can’t tell from numbers along. Cavendish made the cut, even though his numbers told a different story. He has gone on to become arguably the greatest sprint cyclist of all time. 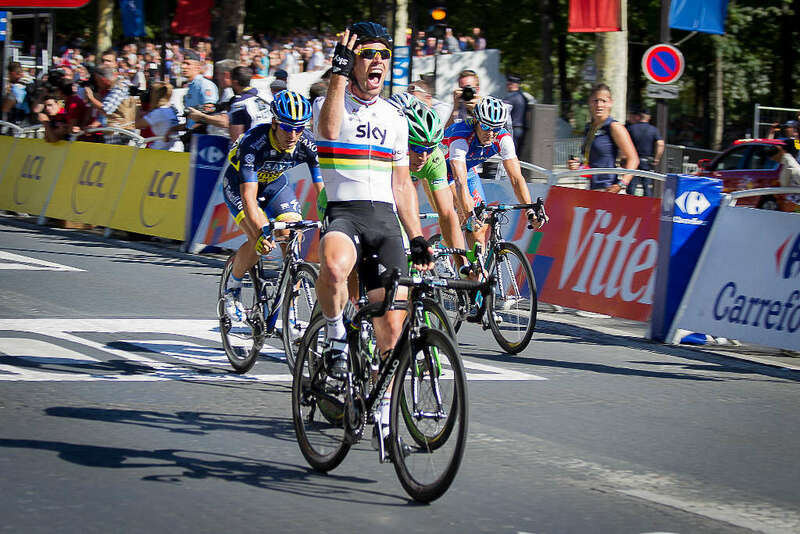 World Champion in 2011, and winner of 30 stage victories in the Tour de France, the biggest bike race in the world. You see, numbers aren’t everything. It worries me when I see something very complex, very intricate, very hard to pin down reduced to a simple set of numbers, because numbers hide the complexity of the world. Numbers are an over simplification, they never tell the full story. Like the world of sport, User Experience operates in a world that is messy, that you can’t put into a neat little box, or spreadsheet. It doesn’t conform to a simple set of numbers, because we’re designing for people, not machines, and people are complicated. By boiling our design efforts down to a set of numbers, an NPS (net promoter score), a SUS score, a satisfaction rating, a conversion rate, we lose the story behind those numbers. We’re asking readers to fill in the blanks, to interpret those numbers, and that’s always a dangerous thing to do. By fixating on numbers, we all too often end up chasing the wrong target. Trying to nudge a number from amber to green in the sacred spreadsheet that gets circulated around senior management, rather than focusing on designing a truly great product for our users. By making decisions based purely on numbers we risk disregarding the intangibles, the hard to pin down, hard to define attributes that all too often make the difference between a good, and a great design.